Wat is dit voor site? Wij zoeken de goedkoopste boeken op internet. Values in Educationvonden we het goedkoopst op Bol.com voor €36.99. We hebben gezocht in nieuwe en tweedehands boeken. Rechtsonderaan de pagina kan je het boek direct bestellen	via Bol	.com. 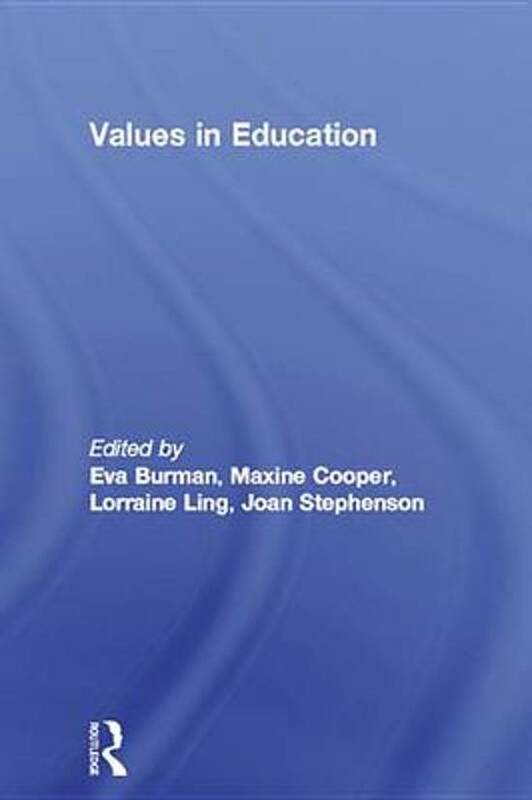 Based upon an empirical study involving training and practising teachers from seven countries, this book investigates the various attitudes and practices towards the teaching of values and their place in the curriculum. Countries covered include: Australia, Eire, Israel, Slovenia, Switzerland, UK and USA. The findings of each of the countries are compared and contrasted in the light of the diverse cultural conditions which are apparent. This book brings together various approaches currently taken in values education and also suggests a theoretical foundation for decision making. The book culminates in practical examples, drawn from the evidence of the research project, which teachers can adapt for use with their own pupils. This book provides a challenging and imaginative perspective on values in education and comes at a time when educators face a new era which demands dynamic, transformative and reflective approaches.